During deadlines and highly stressful periods it can be tempting to skip a meal, not get enough sleep, and push ourselves until we are exhausted. Sometimes we can get so involved in work or family demands that we ignore our basic needs. Preventing an emotional crisis is about practicing wellness and taking time to breathe and “just space out,” go for a walk, have a cup of tea, call a friend, play a video game, or listen to some music. Taking a break is really not wasting those all-too-precious moments, it is how we maintain our work-life balance and emotional wellness. When we have a lot our plate, tons of deadlines, and many uncertainties about the future, we need to take the most care of our emotional wellness. However, it always seems that we do the opposite! Sometimes, even when it seems like there are not enough hours in the day, the best thing we can do for ourselves and our work productivity is to “re-energize” and take a little pause. Putting “First Things First” means taking time for ourselves, even when there is a lot to do on our list, even if it is just a 5-minute break. If we decide that our emotional wellness and work-life balance needs are unimportant or that we are too busy, we sabotage success for our work, home, relationships, and personal best interests. In stressful times of high demands and multiple challenges, we need to be at our best. Ask any marathon runner, combat Veteran, experienced grant proposal writer, or seasoned traveler about “lessons learned” relating to resting and pacing yourself. For me, this week it has meant taking a “breaking-news fast” for a day here and there and allowing myself time for more relaxation and quiet time in the evening. It has also meant taking lunch away from desk, or taking a 5-minute walk out to our barn to see if the chickens laid any eggs that day! We are the only ones that can make our work-life balance and emotional wellness a top priority. We owe it to ourselves, to those we care about, and to those we lead at work to pay attention to the needs of our body, mind, and spirit. Experiencing joy, enthusiasm for life and work, and meeting the day’s challenges creatively and with success will come easier if we focus on ourselves for a bit. Just pause and try it! 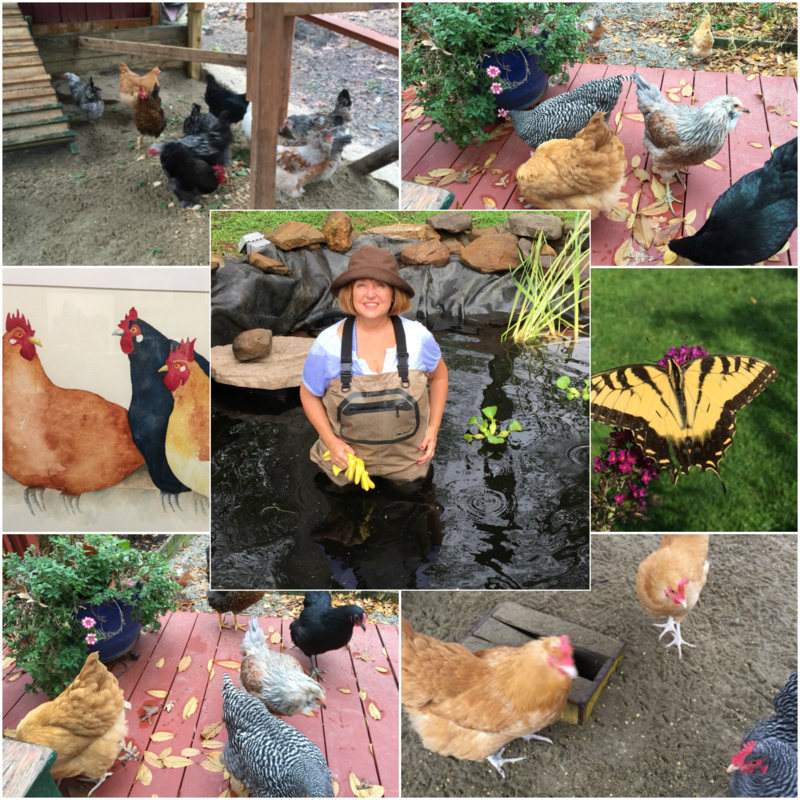 Donna’s outlets to enhance her emotional wellness: chickens, gardening, and nature!